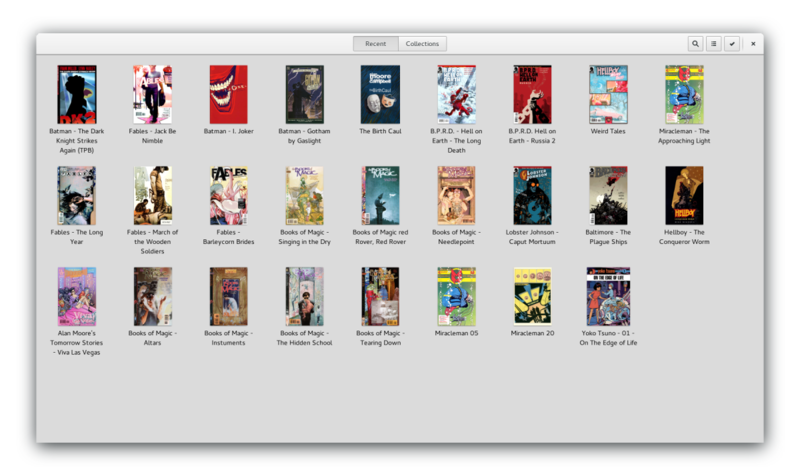 After some time, I discovered gnome-books, and the idea of epub support comes to me again. Books has an initial epub support, that consists only in showing in the collection, but when you click on the book, an error message was shown because there's no epub preview support. I've libgepub with GIR support and books was written with gjs so it was easy for me to add an initial support for epub documents using libgepub and rendering with webkit. So libgepub is used in a gnome app to render epub documents and for that reason gnome depends on libgepub now. In 2017 I discover rust and fell in love with this language, so I wanted to write some code with rust and I started porting this epub library and I ended creating the epub crate, that's basically the same implementation but with rust instead of C, the API is really similar. After that, I read somewhere that Federico was porting the librsvg code to rust, so I thought that I can do the same with libgepub and replace almost all the C code with this new rust crate. I copied all the code for autotools to build using cargo and I've copied to the glue code from librsvg and adapt to my own lib. That worked really well and I was able to remove the core libgepub C code and replace with the new rust code. But rust is really new and it was not full supported in all distributions, so release depending on rust will make the release people's live harder. That's the reason because I decided to leave the C version for now and wait a little to make the rust migration. And here we're, the libgepub has changed a little, some fixes and small changes, but the main change is that now we're using meson to build instead of autotools, and it's not easy to integrate a rust+cargo lib in the meson desc. There's a PR in meson to support this but it seems that meson devs doesn't like the idea. So yesterday I was playing around with meson to get back the rust code working in libgepub, and was not easy, but now I've a working build configuration that works. It's a hack with a custom script to build with cargo, but it's working so I'm really happy. Then I declared the static_library and the dependency with declare_dependency. I need to add threads and dl because the epub crate depends on it and this works! I'll need to vendor all dep crates with cargo-vendor for releasing, but I think that this is working and it's the way to go with libgepub. Currently, with the libgepub_internals lib, the gepub-doc.c code is basically to provide a gobject and GIR information to be able to work with epub docs, but the real work is done in Rust. The gnome-class provides a simple way to build this gobject with rust code, but currently it's not completed and there's no way to generate GIR, but in the future, it could be cool to remove the gepub-doc.c code and generate all with gnome-class. I can wait until Federico writes the piece of code that I need for this or maybe I should contribute to gnome-class to be able to do this. Libgepub also provides a widget that inherits from WebkitWebView to render the book. That widget is written in C to provide GIR data also and we can try to do the same and use gnome-class to write this widget. But for now, we're really far from this, we need to spend some time improving gnome-class to be able to write all the code in rust and expose the gobject GIR. Meantime we can start to use rust with this glue code, and that's great, because if you've a gobject library and you want to migrate to rust, you don't need to migrate all the code at once, you can do the same that librsvg is doing and migrate function by function and that's really cool.